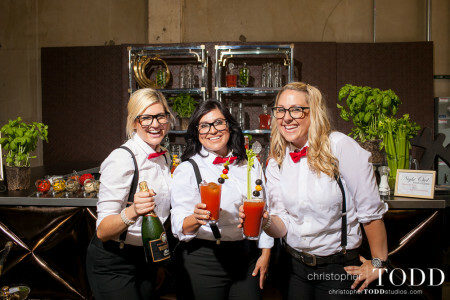 Home » Products » Blog » FormDecor Happenings » FormDecor – A Swellegant Brunch catered by Zov’s! FormDecor – A Swellegant Brunch catered by Zov’s! 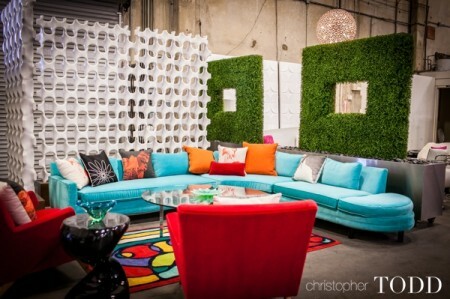 FormDecor’s warehouse was transformed into an intimate lounge for account executive Kellie Migliaccio’s first open house event, A Swellegant Brunch. 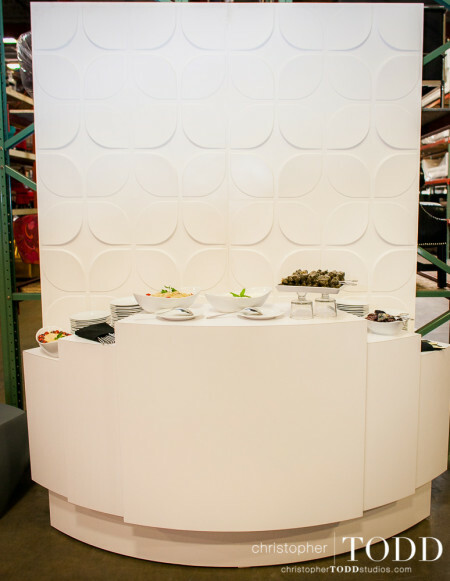 In collaboration with Natalie Vishny of Swellegant Events and Zov’s Catering, the brunch brought together an exclusive group of high-end Orange County wedding and event planners new to the FormDecor warehouse to experience the comprehensive inventory in person. 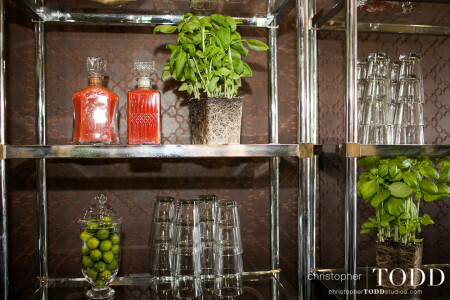 Specially designed lounge vignettes were placed throughout the building as guests raved about the creative cocktails from Night Owl Productions‘ DIY Bloody Mary bar and delicious appetizers from Zov’s. Ambient mood lighting and music from As You Wish Events set the mood for the afternoon and art from Bethany of Commemory Fine Art tied it all together. We were delighted to have a group of creative minds come together for such a fun and memorable event, and look forward to the next open house event! 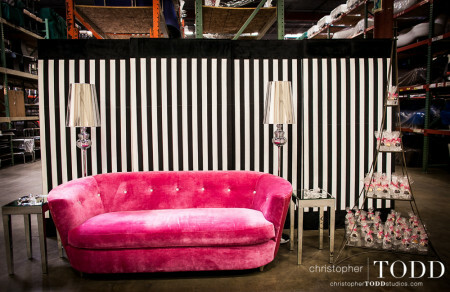 Keep reading for some of our favorite highlights from Christopher TODD Studios! 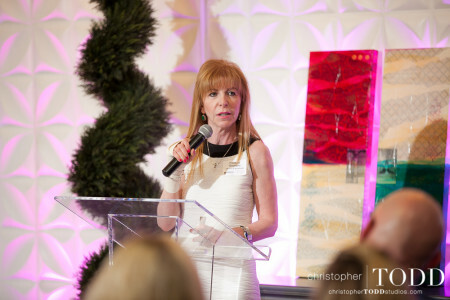 FormDecor would like to send a huge thank you to all who sponsored the event – their collaborative efforts made this event such a huge success! 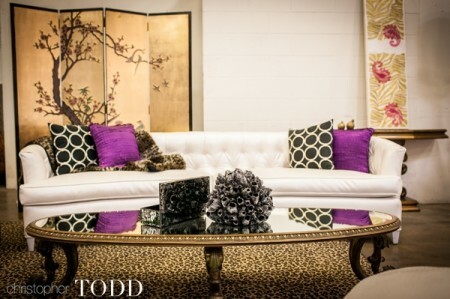 With FormDecor’s white ostrich Catalina Sofa accented with leopard prints, gold and pops of purple, this lounge is perfect for an elegant bride with a bit of a wild side. 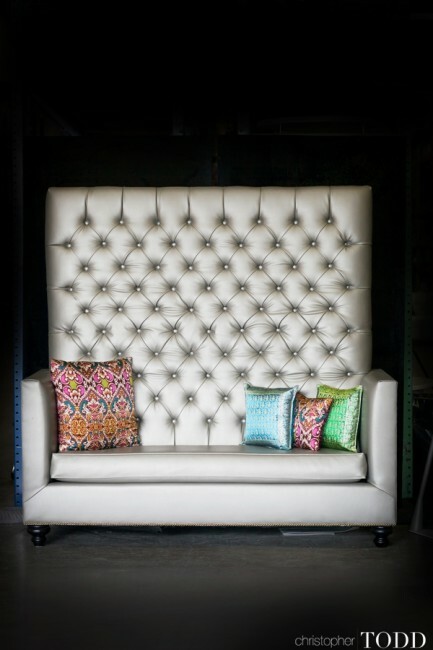 (FormDecor furnishings: Catalina Sofa, Rococo Coffee Table, Viceroy Pillow, Acai Pillow, Leopard Throw, Leopard Rug, Xian Folding Screen and Heritage Entry Table. 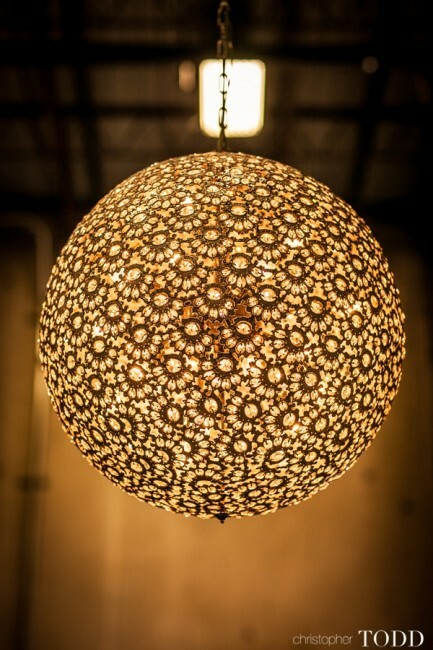 FormDecor’s rotating Baroque Crystal Chandelier lighting up the space – watch it on our YouTube page! 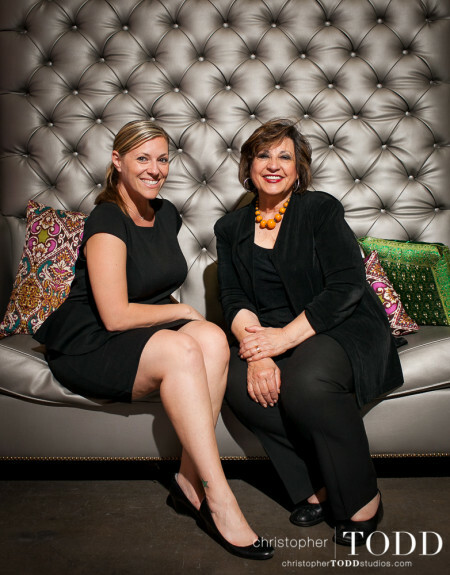 Natalie of Swellegant Events and FormDecor’s account executive Kellie Migliaccio – the creative minds behind this incredible event! Zov’s Restaurant served up some delicious small plates and desserts throughout the event. We still can’t get over how good everything was! 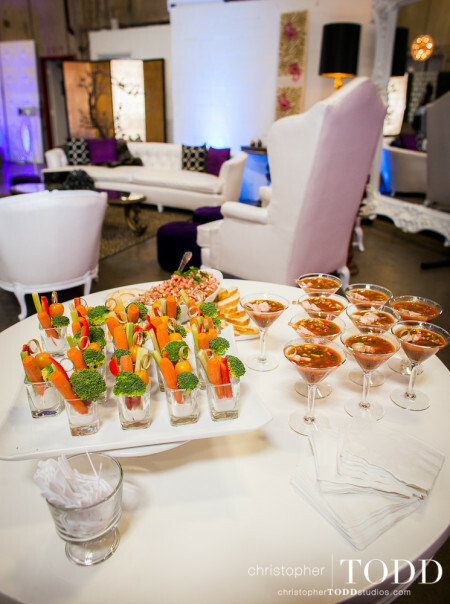 From a shrimp ceviche cocktail to scrumptious dumplings and traditional Mediterranean dishes such as grape leaves and baba ganoush, Zov’s Catering showcased their diverse food menu. Ruschka Sanguinetti and Chef Zov herself, the culinary creative behind the restaurant’s incredible food! With a beautiful Hollywood Regency design, the Grand Banquette is a powerful piece for any wedding vignette or bridal photo shoot. This is how you D.I.Y. 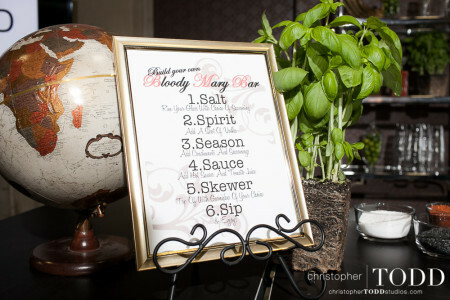 a Bloody Mary from Night Owl Productions! Bloody Mary essentials stacked on FormDecor’s Drake Bar Shelves. We love the touch with the herb plants! Kristen Stone, Sabrina Maldonado and Katie Doyle — The lovely ladies of Night Owl Productions! With bright pops of color, rock n’ roll accessories and a few mid-century touches, this lounge is perfect for a hip, modern wedding or event. The #DeliveryDudes taking a breather on the mod lounge! Gorgeous artwork by Bethany at Commemory Fine Art perfectly complimented the Chrysalis Screen backdrop added an inspiring touch to this ceremony area. 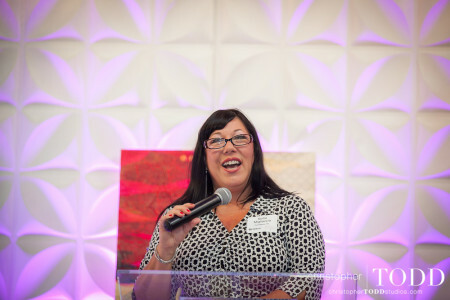 Kellie Migliaccio, our awesome account executive, delivered a heartwarming welcoming speech in front of our Chrysalis Screen! 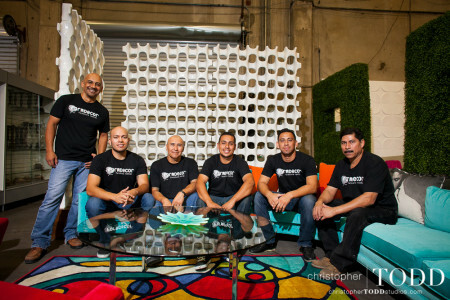 Freddie Georges from The Shop @ ShowReady talked about their handcrafted approach when it comes to custom scenic fabrications and designs for wedding celebration. 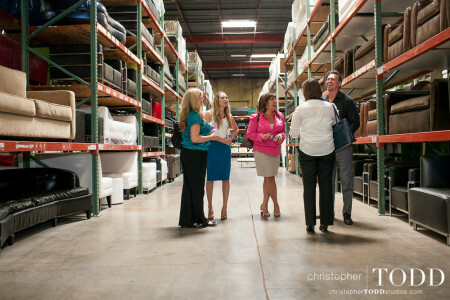 In between food and drinks, guests were welcomed to join a warehouse tour with someone from the FormDecor sales team — including our president, Fritz Williams, himself! 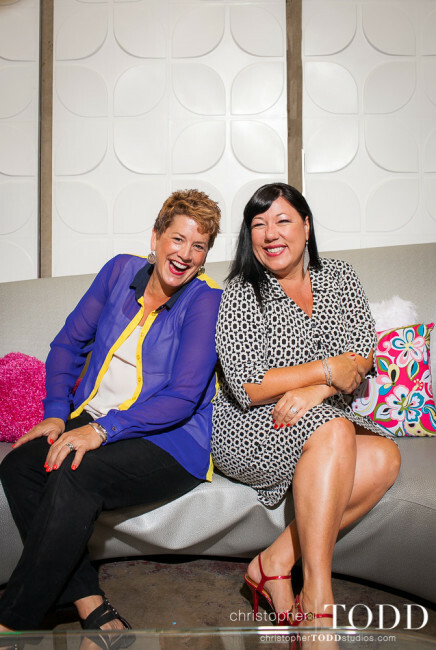 Freddie Georges of the Shop @ ShowReady and FormDecor’s HR Manager, Barbara Fernandez, sat down on our vignette and flashed their demure smiles! 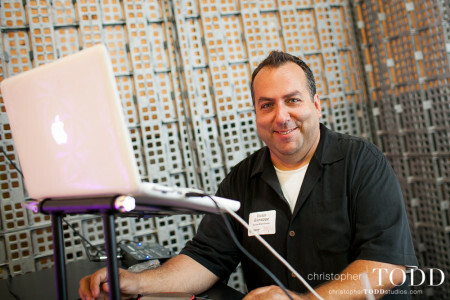 Victor Giuseppe of As You Wish Events set the mood of the event with soft ambient lighting and music in front of our Space Odyssey Screen! 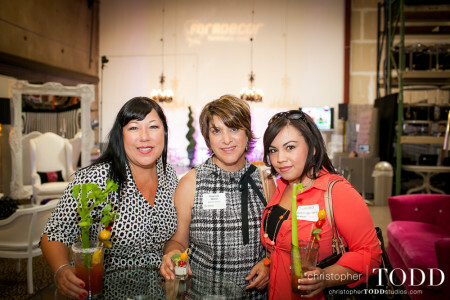 FormDecor’s Kellie enjoying her DIY bloody mary with Jeannie Ward of Wedding Jeannie and Susana Montes of Westridge Golf Club. 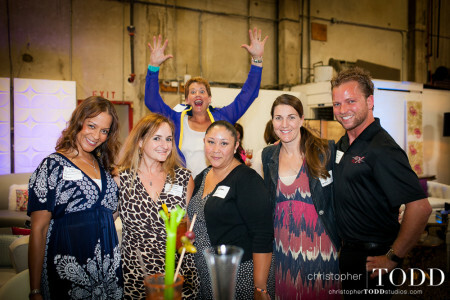 Natalie getting silly with Tracy of Flawless Events, Rachael of The Shop @ ShowReady, FormDecor’s Barbara and CFO Melanie, and Nick from AVX Rentals. 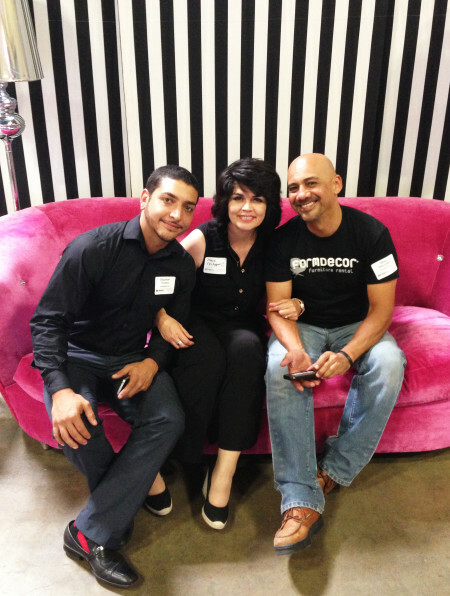 FormDecor’s logistic’s supervisor, Stephen, accounting associate, Maria and warehouse manager, Mike, share a tender a moment — what a cute trio! For a complete list of the furniture used in this event, be sure to check out the showcase! 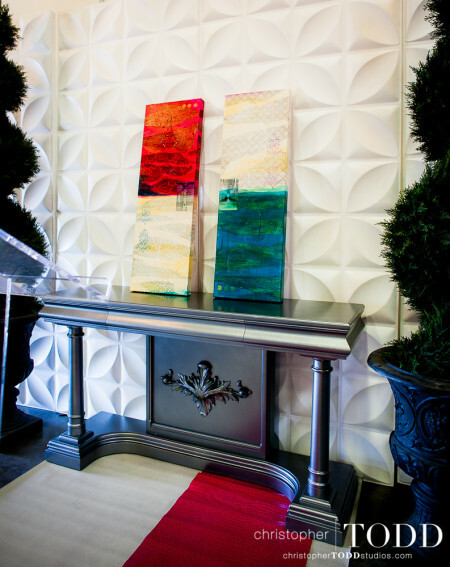 If you’re looking to WOW your guests at your wedding or special event, FormDecor has the rentals you’ll need to make it that much more memorable. Let us know how we can help by reaching out at info@formdecor.com. To learn more about FormDecor, please stay connected with us on Facebook, Twitter,Pinterest and LinkedIn! This entry was posted in FormDecor Happenings, FormDecor Weddings and tagged Event Furniture Rental, FormDecor, wedding furniture rental, swellegant events. Bookmark the permalink. 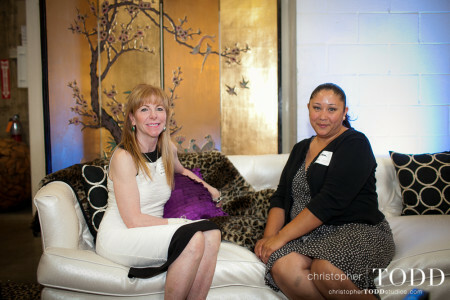 Thank you so much for enabling me to create artwork to complement your gorgeous furniture vignettes!